It all started in 2009 when my then girlfriend, now wife, Lindsay, and I bought our first home on the north side of Indianapolis in the Broad Ripple neighborhood. A majority of the homes in this neighborhood were built in the 1940’s and 50’s and therefore, lack garbage disposals. As any sensible and reasonable wife would ask, Lindsay requested a garbage disposal. 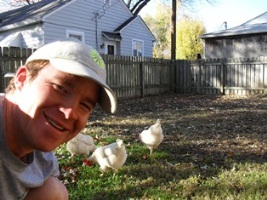 And, as any sensible and reasonable husband would act, I brought home 4 chickens and built a little coop. Despite my folks never even having a vegetable garden while I was growing up (they were great parents and still are, we just did other things to occupy our time), somewhere along the way I’d learned that chickens will eat damn near anything. So, in my mind, I had installed a garbage diposal… and one that produces eggs!! 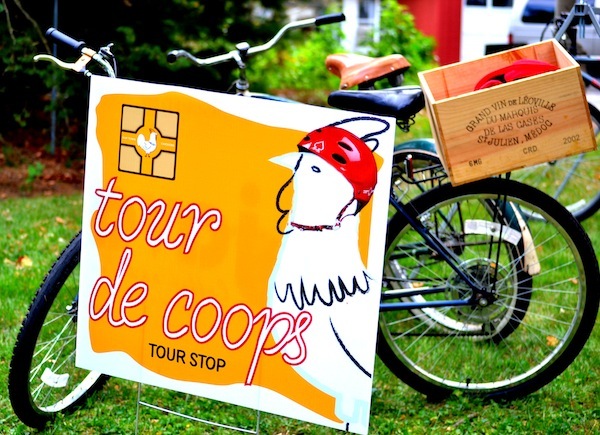 Each coop on the tour was sponsored by a local business and if a local business was willing to sponsor a private, residential coop for just a few hours on one day, maybe they’d be interested in sponsoring a chicken coop at a school for as long as the school is willing to take care of it. So, in early 2012, I contacted a local business and then an elementary school and they both said yes. “Project Poultry” was born. 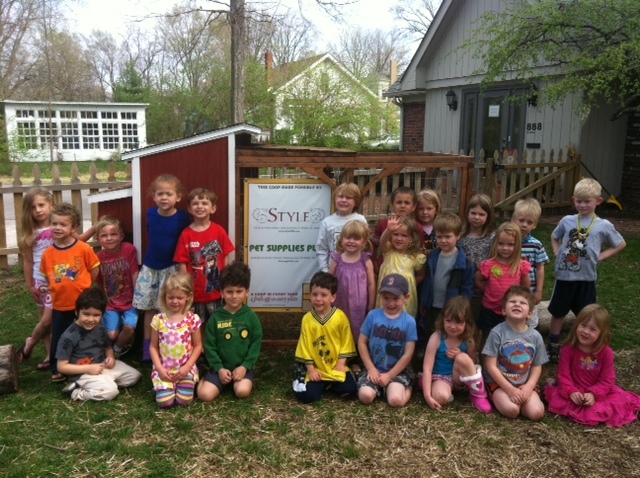 Since then, with the help of numerous businesses and schools, we’ve been able to outfit 27 schools and non-profits in Indianapolis, Louisville and Chicago with chicken coops. Students, teachers, parents and the community were learning about where eggs come from, animal husbandry, the laying life of a hen and best of all… using chickens as an alternative form of composting. Around the time “Project Poultry” was getting going, a young woman by the name of Anne Collins contacted me wondering if there was anything she could do to help. She was a backyard chicken farmer herself and just wanted to get involved in the “movement.” I told her, “not really, but let’s stay in touch.” We stayed in touch, her step-father started helping me build coops and then one day, about a year later in early 2013, Anne said, “let’s open an urban homesteading store! 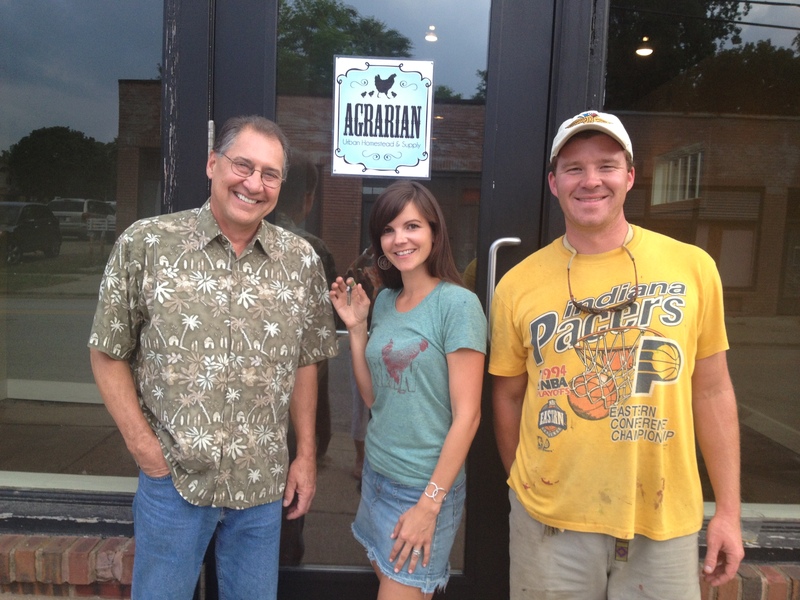 !” And so, Agrarian was born!! We opened our doors August of 2013, just 6 months after having our initial concept meeting.